The other day, I complained, along with the entire rest of the country it seems, about the vile Westboro Baptist Church’s plans to picket funerals for the victims of last weekend’s Arizona shooting spree. 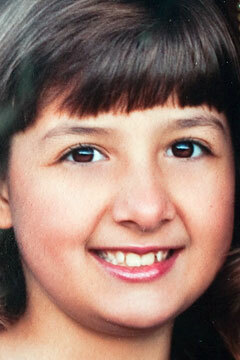 Arizona shooting victim Christina Green, 9. Efforts are under way to protect mourners at her funeral from the Westboro Baptist "Church"
Westboro, notorious for their “God Hates Fags” signs and long litany of obnoxious behavior, planned to show up to the funerals, I guess because of their hate of anybody who is, well, not them. Westboro is ready to disrupt the funeral of shooting victim Christina Green, 9, because her family is Roman Catholic. Westboro hates Catholics. They’re encouraging people to wear eight by ten foot “angel wings” which would sheild mourners from picketers. The “angels” are instructed not to say anything or engage the Westboro monsters, just block the view. Also, in a welcome bit of bipartisanship, both the local Republican and Democratic parties have asked their supporters to line the route of the funeral procession to form a barricade between mourners and the Westboro jerks. So congratulations to the people in the Angel Action. It’s good to see people helping. This doesn’t rid the country of Westboro, but hopefully it will diminish them a bit. I wonder if the Westboro gang is looking forward to them burning in hell. Someday they will. This entry was posted on January 11, 2011 at 9:20 pm and is filed under Uncategorized. You can follow any responses to this entry through the RSS 2.0 feed. You can leave a response, or trackback from your own site.